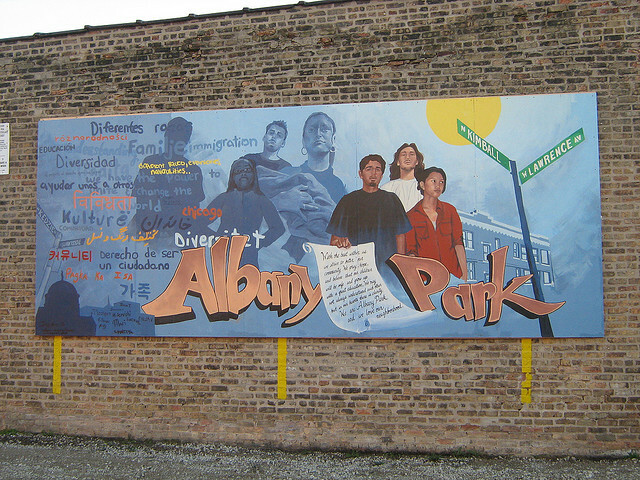 Located on the North side of Chicago, Albany Park is home to one of the most diverse communities in the city. Aside from being rich in culture – Albany Park is also home to bungalow style homes. As your go-to Albany Park movers, we will be more than happy to help you become part of this community right away! Helping you find your new favorite places is on our to-do list! One thing you’ll see first-hand in Albany Park is the diversity within the community. Generations of family businesses have thrived in Albany Park. Walking along Lawrence Street you’ll find that Albany Park is truly a melting pot. You’ll find organizations striving to addresses issues regarding social injustices and celebrate diversity, such as the Korean American Community Services. As well as organizations like the Asociacion Ecuador Unido, who aim to ensure a better quality of life for Ecuadorians living in Chicago. Offering ethnic authentic food that you won’t have to sacrifice your hard-earned money for. Albany Park has become home to over 80,000 people – most of whom have established themselves for generations. What really makes Albany Park shine is the ethnic community and surroundings. Now you’ve got the gist, here are some highlights—and basics—we found to help you start your best Albany Park life. Albany Park Community Center: Educating individuals, families, and businesses. Albany Park Library: Branch of the Chicago Public Library. Albany Park Theater Project: Community-based organization. Persian: Kabobi. Classic generous dishes. Mexican: Rojo Gusano. Beach-inspired Mexican food and bar. Albany Park Fresh Market: Open until 10 PM. Lindo Michoacan: Local produce and focus. Senor Pan Café. Comfort food with amazing coffee. Café Urbano. Espresso drinks and baked goods. XSport Fitness. Specialize in strength training. Flexible schedules. Hybrid Strength Athletics: Equipment, classes, and training. This has been a tiny sampling of the great things you’ll experience at your new Albany Park home. As a seasoned Albany Park moving company, we’ve learned all about the staples and cool places in the area. We’re happy to share more! As you’re planning your big move, cross one major thing off your to-do list, and book Albany Park movers who’ll take a load of stress off your mind. Call us at New City Moving, and we’ll help you move safely, smoothly, and on schedule, so you can settle right in and start living your greatest Albany Park life.